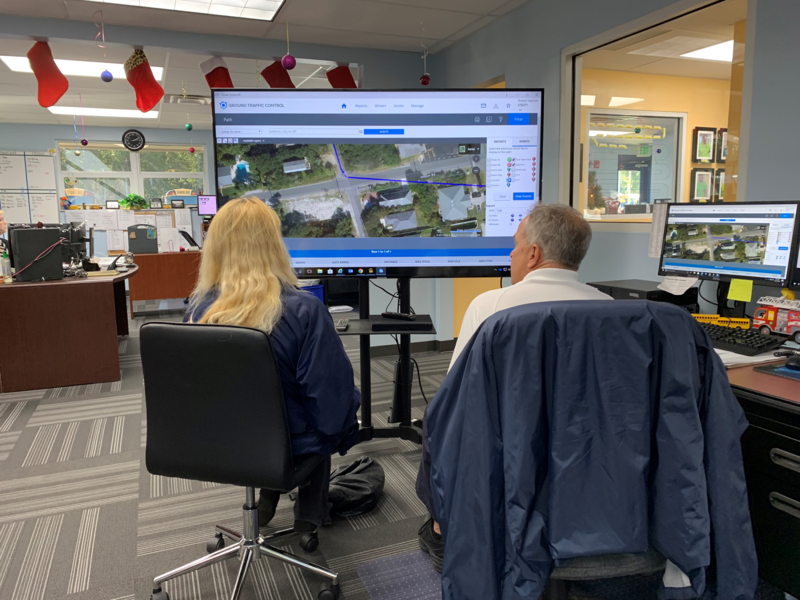 Robert Aponte (R), Safety and Training Coordinator conducting a Virtual Safe Ride with Bus Operator Cathy Limberg (L). The Transportation Department has implemented a new safety training feature called Virtual Safe Ride this school year. 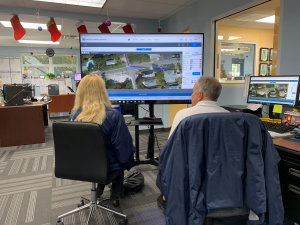 Virtual Safe Rides involve an Operator and Trainer reviewing routes, stops, and details of bus runs in order to optimize student safety. The Transportation Department has been successfully implementing a new routing software known as Bus Planner. The system sig nificantly enhances safety parameters to ensure district school buses are routed in a manner which prioritizes student safety above all else. Also new this school year, the department added a supplemental student light system to 10 buses as a state approved pilot of the technology. The pilot adds high intensity red LED lights just above the front and rear bumpers of the bus at a level approximate to a motorist’s eyes. Initial results indicate that motorists detect the buses sooner and accordingly decelerate vehicles quicker when approaching a bus loading or unloading students. Furthering technology advancements and in synchronization with Bus Planner, the department is in the final stages of implementing a school bus GPS system on all district school buses following an 18-month pilot of technologies. Most importantly, the school bus GPS system will pinpoint school bus locations with three feet (latitude/longitude) and ten seconds. Given this capability, the department will significantly improve response times to buses with emergencies on route while precisely projecting school bus arrival times at stops and schools.